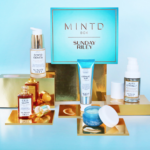 BeautyFIX Limited Edition Mother’s Day 2018 Box – Available Now! The BeautyFIX Mother’s Day Box is available now! Inspired by our love for these remarkable women, our beauty experts wanted to treat you with the best and brightest in skin care, hair care and makeup! This month’s luxurious box is bursting with both full- and travel-size products, worth over $238. DevaCurl Melt Into Moisture™ Matcha Butter Conditioning Mask (1.5 fl. oz): a moisturizing hair mask that nourishes and boosts shine. Tocca Beauty Montauk Candela: a glass jar candle made with a fresh scent that permeates your home. SKIN AND CO ROMA Truffle Therapy Cream: a rich anti-aging cream with nourishing active botanicals. Bioderma Sensibio Light Cream (15 ml): a soothing face moisturizer that gradually increases your sensitive skin’s tolerance levels. Paula’s Choice Resist Smoothing Primer Serum SPF 30 (0.33 fl. oz. ): a multitasking primer boosted with sunscreen protection. Perricone MD Superberry Powder with Acai (0.21 oz. ): an energy-boosting and free radical fighting supplement powder. Rita Hazan True Color Shampoo (2 fl. oz. ): a lathering shampoo that protects color-treated hair from damage and fading. Lancer Skincare The Method: Polish: an exfoliating scrub that removes impurities and dead skin cells to improve the texture of your skin. Mama Mio Way to Glow Uplifting Facial Mist: a travel-size facial mist that calms, cools, moisturizes and protects your skin. SkinMedica Lytera 2.0 Pigment Correcting Serum (0.3 fl. oz): a brightening serum that targets and corrects the appearance of hyperpigmentation. SkinCeuticals Resveratrol B E: a nighttime, antioxidant serum made with pure resveratrol to reveal visible radiance and firmness. Laura Geller New York Baked Gelato Swirl Illuminator: a unique hybrid cream-powder highlighter that adds a warm glow to your complexion. What do you think of the Limited Edition Box? Are you going to grab one? BeautyFIX is $24.95 a month. 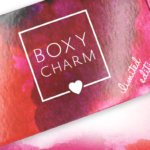 Check out our reviews of past BeautyFIX boxes to learn more about this subscription. How do subscribers rate BeautyFIX? Do you subscribe to BeautyFIX? Add your rating now! Anyone know of a coupon code for this box? Do you think if we wait long enough ,it’ll go on sale? The Lancer looks like not only a full size but the value size retails for $105.. can anyone confirm? Just received this box and the lancer is the value size retails for $105!! I was hoping for some color too. Something special too. But nothing screams special to me. Me too! Can’t beat $15! I ordered it today and received my shipping notification already. I am excited to try everything. I still have $25 credit from March box and it was tempting at first… but I agree it is a bit underwhelming after receiving Beauty Report box. I will wait for the review here. Hope MSA reviews asap! Yes, I ordered the beauty box report and it was AMAZING!! I wish there was a way to see when these limited edition boxes were released!! I did a sort of high pitched gasp when I saw the heading. Alas, when I glanced at the photo all that came next was a sad little groan. I’m guessing the picture is of the actual items. Is that the case? If so, it looks like the Lancer is full size, which is pretty awesome as it retails for $75 and, more importantly, it’s amazing! I searched far and wide for a replacement for Laura Mercier’s Face Polish when I found out (1) what microbeads are and (2) that LM’s Face Polish has them in it. I tried SO many products and the only one I’ve loved is Lancer’s. As for the rest, it does look like most of them are deluxe sample sizes. Maybe the Mio and DevaCurl are full size? Also, I’m slightly amused that the Tocca Montauk candle is in this box only because the full size one that was in a PSMH box a while ago was a popular, hard to swap for item, and now I’ve seen it show up here and in a GWP I got recently. Huh. I agree…the Lancer is an amazing scrub. It’s very similar to the ZO (Dr. Obagi) polish which I also love. The skinceuticals reservatrol BE looks like the 0.1 oz sample. I’ve always wanted to try the Skinmedica Lytera. A few of these box items will be gifted but I still think it’s worth it for me. Have you tried bliss micromagic scrub? I love that one too and have seen it at the maxx before. Not sure if it was discontinued but great scrub. Lancer is probably my fave along with that one. I tried Bliss a while ago and didn’t care for it, personally. It was okay, but not enough to re-purchase it. It says that the DevaCurl is 1.5 oz. The full size is 17.75 oz, so this is going to be pretty tiny. You are correct about LM having micro beads originally, however they were outlawed in the US in 2015 and all companies had to switch over to environmentally friendly alternatives. They passed legislation in 2015 but companies were given time to phase them out. Several products still have them, including Laura Mercier’s Face Polish. If you check the ingredients list, Polyethylene is still a listed ingredient. And I just double-checked. Polyethylene is listed in the ingredients on Sephora but not on LM’s website. I also checked the law’s deadlines. Companies were required to stop *manufacturing* products with microbeads by July 1, 2017 but the deadline to stop *selling* them is July 1, 2018. So if you buy it now, it may or may not have the microbeads. The DevaCurl is a deluxe sample. Saved me $50! Loving the 2 beauty report boxes where the value is much more for a lot less! Yeah, I think I’ll pass on this box after all, especially since the ferulic acid Skinceuticals I got in the past was a teeny tiny bottle less than 5ml – I wouldn’t be surprised if this one is the same size considering its hefty (and completely unjustified) retail price. I am kind of disappointed with the box. I was looking forward to it, but it looks like just a regular box with double price tag. A lot of samples. I skipped Glossybox mother day box, looks like skipping this one too. Hopefully Lookfantastic come up with something special for mother day. Hum.. my comment didn’t show up, anyway, I only like the skinceuticals, skinmedica and paula’s choice, so I have to pass. No way I’m paying $50 for 3 small samples! I don’t like the lancer product at all, have quite a few of them and many of the truffle creams too. I’ll spend my $50 and get myself a nice serum or something.. I’m just really disappointed in this box. I really don’t care for this box.. I do like the SkinCeuticals, SkinMedica and Paula’s Choice, but their all small sample sized! I can’t pay $50 for 3 samples… I guess if you want to try or like the Lancer, then this box would be worth it, but I already have a few deluxe samples of it and I don’t care for it… I have to pass.. Feeling very underwhelmed by this box. Tiny samples. I’m so over teeny-tiny skincare samples in boxes I spend good money on. I got excited when I saw the headline, but it’s just two meh monthly boxes put together, easy pass for me. On the bright side, they just saved me $49.95, I guess a “Thank you!” is in order. If there is no size listed next to the product name in the list above, does that mean it is full size or that we don’t know what size it will be? I’m particularly interested in the SkinCeuticals Resveratrol B E.
I have received that sample before and it’s pretty small. The only full sized products looks like the Lancet and the candle. I ordered it, between my $25 credit and I had some points I redeemed, I paid $15 which is definitely worth it! I want this if only for the truffle cream and the facial mist. However I dunno if that justifies the price point. Hmm… I wasn’t considering this box until I got to the last two items on the list – I’ve actually been planning to buy those. I just think the value isn’t commensurate with what we are getting in the Beauty Report box for only $30. "I'm annoyed that a new subscriber box is better than my actual box......."
"that scarf is gorgeous. I wish you would have posted a larger photo of the ways to wear it. it made me google ..."